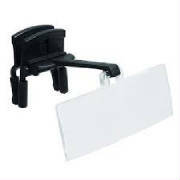 Telesight Clip-On Magnifier is light weight. Optical quality prismatic coated lenses. Clip on magnifier attaches to your glasses. Comes with 4 interchangeable lens powers. Clip-on magnifier attaches to the brim caps. Comes with protective soft pouch. Click for details Clip-On Magnifying Glasses For Reading And Crafts. 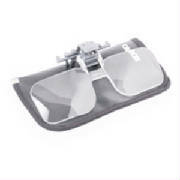 Clip on magnifier adds power to your glasses. Available in three powers and includes pouch. 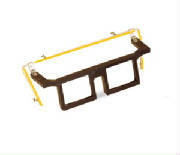 Attaches with ease to most eyeglass frames. Interchangeable 5x and 7x lenses. Can be used to examine objects very close up.